Himachal Pradesh is a dramatic mixture of towering Himalayan peaks, Buddhist culture, traditional living, arid mountains, and spectacular scenery. Dharamshala, the abode of His Holiness the Dalai Lama, is deemed as the 'land of gods.' Not only this holy land is inclined towards spirituality, but also, it is picturesque town from where many treks including the Kareri Lake (3200) are flagged off. This time, when you go for a holiday in Dharamshala to get spoilt in its quaint environs, don't forget to go on an expedition to Kareri Lake. 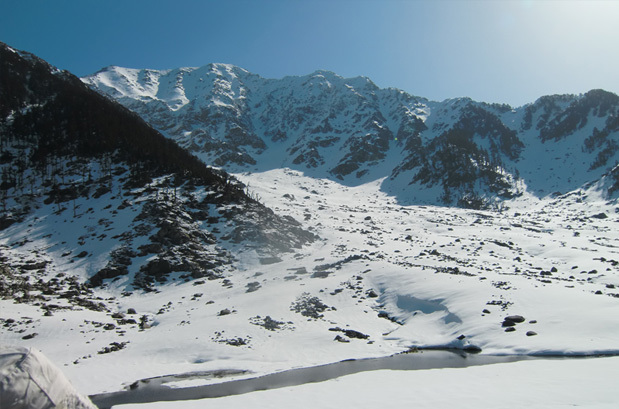 Trek to Kareri Lake kicks off from McLeodganj; it further passes through Mankiani Pass, Baleni Pass, Lioti and finally ends at the Kareri Lake. On your journey to the Kareri lake, you will see many vintage landmarks, which offers the great view of the neighbouring mountains and valleys. The trail transverses through lush forests, narrow terrains, whirly passes, scenic meadows and much more. 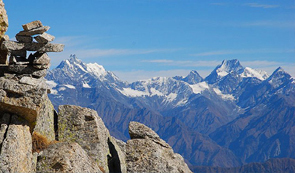 Tour my India is offering you an incredible trek package to Kareri lake with their expert guides and professional to satisfy your hunt and have a lifetime experience. 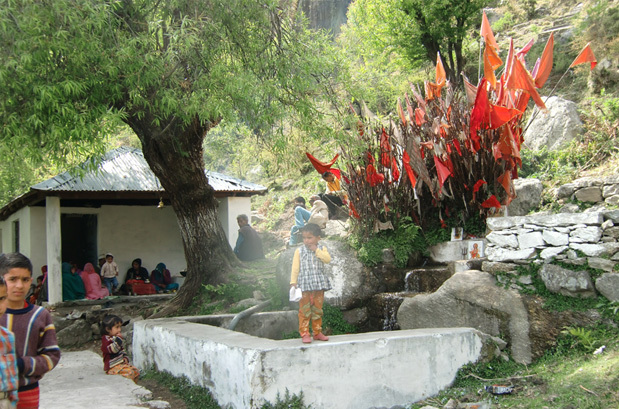 Take this opportunity to explore one of the most spectacular areas of the Himalayan range and experience the simplicity and hospitality of the Himachali cult. So, this holiday go for a trek to Kareri Lake. 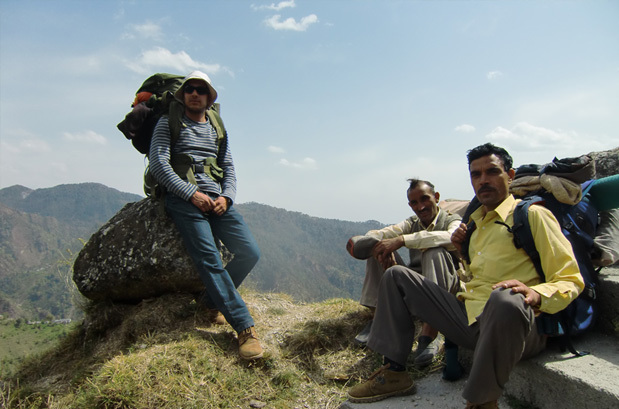 Trekking on high altitudes is an experience to remember as you experience unique climatic changes. Explore Mcleod Ganj, the residence of His Holiness the 14th Dalai Lama and the site of the Tibetan exile community. Add to your record, the scaling of Bleni Pass (12,300 feet) and Minkiani Pass (13,230 ft). During the early months of the year, there are chances of snow on high passes, which considerably melts by August. During the monsoon season, Kangra and Dhauladhar range remains affected due to rain, but when we talk about the high places, the weather remains warm and sunny (12-20 °C) during the day, while the night temperature could be in minus (-2 to 6 °C). 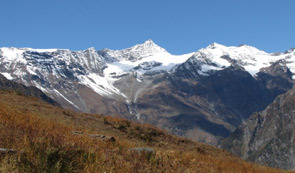 During the September and October, trekkers can experience a good weather, with little snowfall. With the onset of October, the day temperature is hovering around 12-18 °C but the evening starts getting comparatively colder with (- 6) to 4 °C. 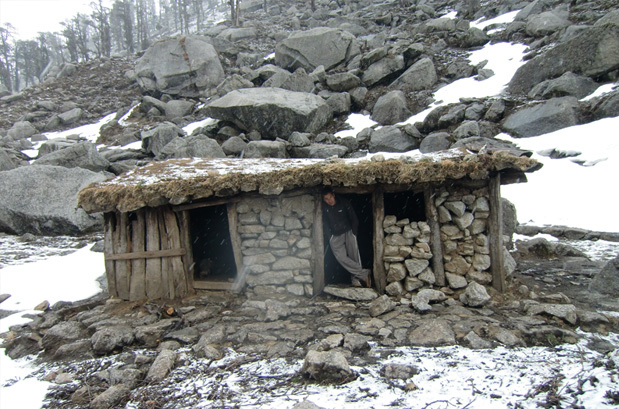 Where is the Kareri Lake Trek ? 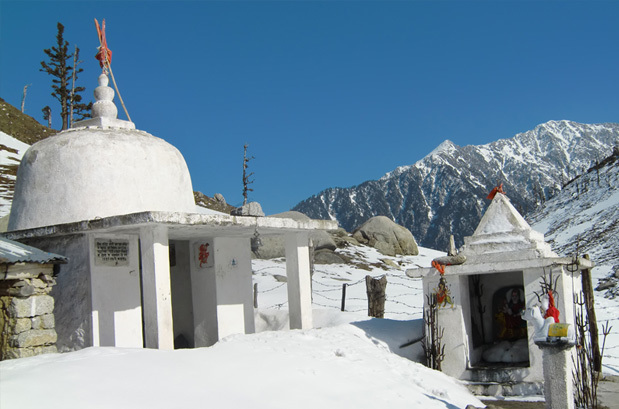 The nearest town to Mcleodganj is Dharamshala. You can reach Dharamshala from Delhi. 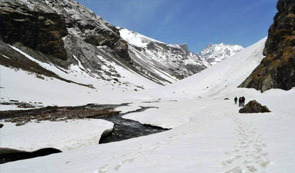 How to Reach Kareri Lake Trek ? 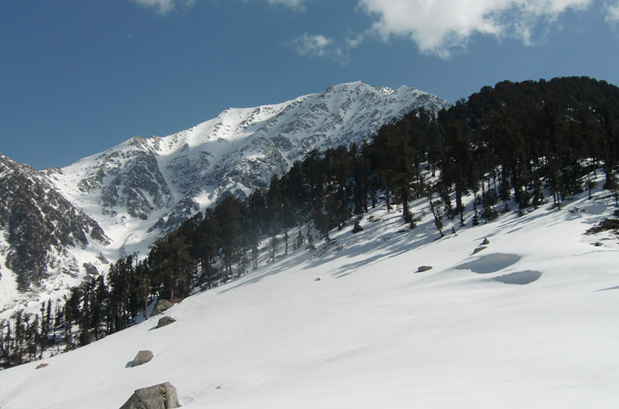 By Road: Dharamshala is well-connected with all the major cities of North India, including Delhi, Chandigarh, Manali, Srinagar, and Dehradun, via state-owned buses and private taxis. By Railways: Pathankot Railway Station is the nearest railway station, which is 84.5 km from Dharamshala. By Air: Gaggal Airport, commonly known as Kangra Airport, is the closest runway to Dharamshala. From the airport, cabs and buses are easily available. 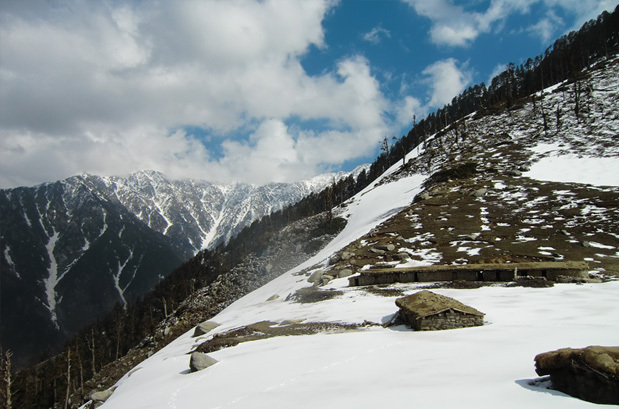 In the evening, you will board AC Volvo Coach to McLeodganj from one of the meeting points in New Delhi. Overnight journey. Upon arrival, you will be transferred to a hotel for stay. 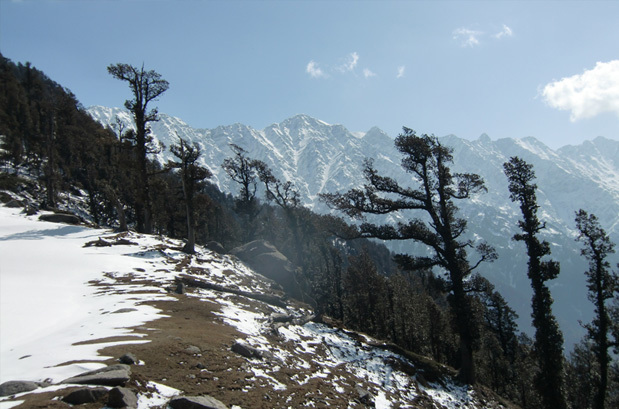 On this day, you can either choose to relax in the hotel or can explore McLeodganj. Dinner and overnight stay in a hotel. Post breakfast, you will start the first phase of the trek to Kareri Village. 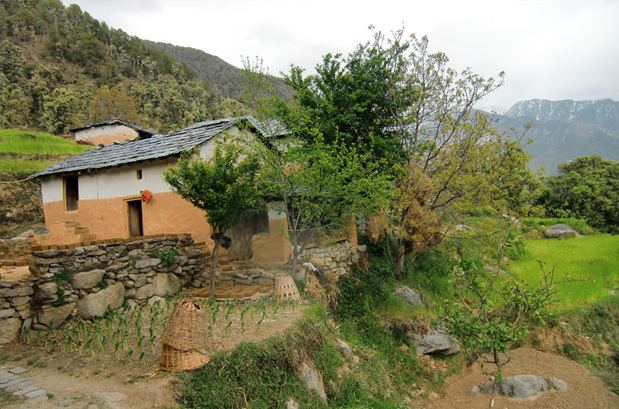 On this day, you will walk through the dense pine jungles and remote villages. For initial few kilometers, you will walk to the bottom of the slope and after reaching a point, you will start climbing. Dinner and overnight stay in Kareri Village Camp. After having breakfast, embark on a tough trek till Lioti. During the 4-5 hour journey, trekkers are going to have the best time of their life, they will stroll along the river, cross bridges and even will walk on boulders. 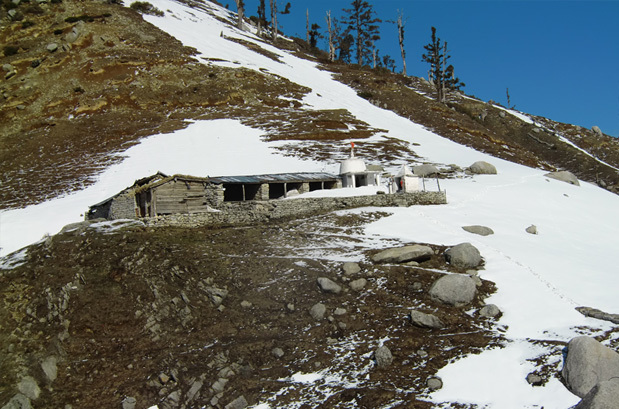 Lioti, which is going to be the camping site for the day, is beautiful alpine grassland located at an elevation of 8038 feet above the sea level. Dinner and overnight stay in Lioti base camp. Finally comes the day for what everybody has been waiting! Today, you will trek to Minkiani Pass, the point where the lake is located. For initial kilometers, trekkers will walk on the narrow, rocky and muddy track, lined with thickly forested mountains on one side, and a river gorge on the other. Since it's a high altitude trek, here one can see coniferous, and deciduous forest clung to the mountains and clouds surrounding the peak. With every step, attitudes and the level of difficulty will keep on increasing. Trails will get rough; trekkers will have to cross rough rocky paths. The campsite for this night will be another pleasant meadow, and from here you will be able to see Minkiani Pass, Baleni Pass and a valley below. Today is going to be the less leg of the trek. 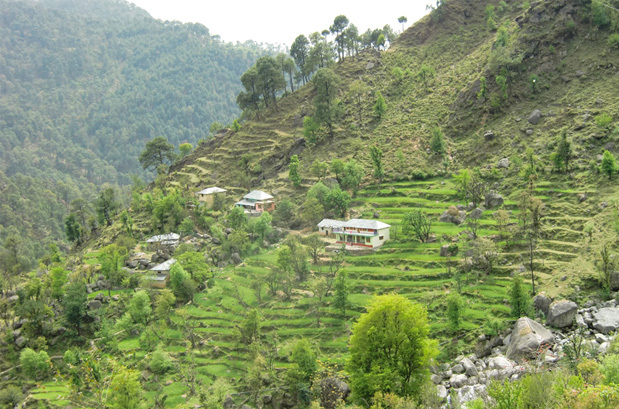 Trek downhill till Ghera, as one will walk the hill, they will see a drastic change in geographic, forest and vegetation will start getting dense with every step. At Ghera, drivers will be waiting to drop off at McLeodganj hotel. From McLeodganj catch AC Volvo for Delhi. Overnight journey. Arrival in Delhi marks the end of Kareri Lake Trek. When to book Kareri Lake Trek? You should book Kareri Lake Trek well in advance so that you get ample amount of time to prepare for the trek. 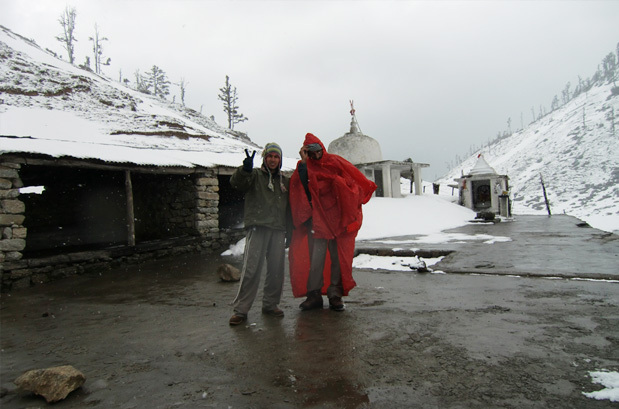 Janpath (Delhi), RK Ashram Metro Station (Delhi) and Majnu Ka Tila (Delhi) are the three meeting points for the Kareri Lake Trek. 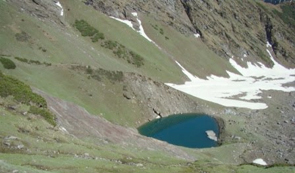 What is minimum age required for Kareri Lake Trek? Kareri Lake trek is an easy trek with a maximum altitude of 10170ft (3100m) minimum age required is 10 years. 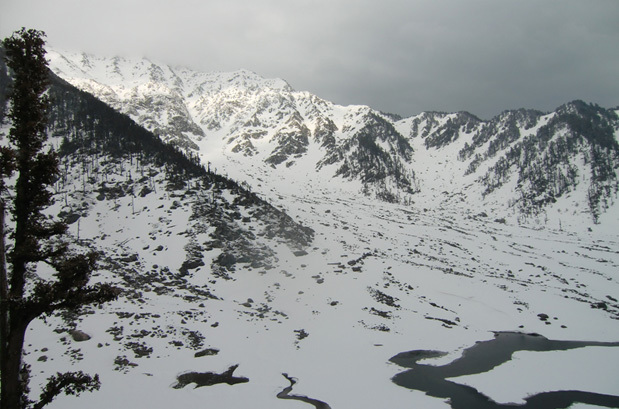 What will be the minimum temperature during Kareri Lake Trek? The temperature may drop to 8° C during the May – October (July & August might face rain). 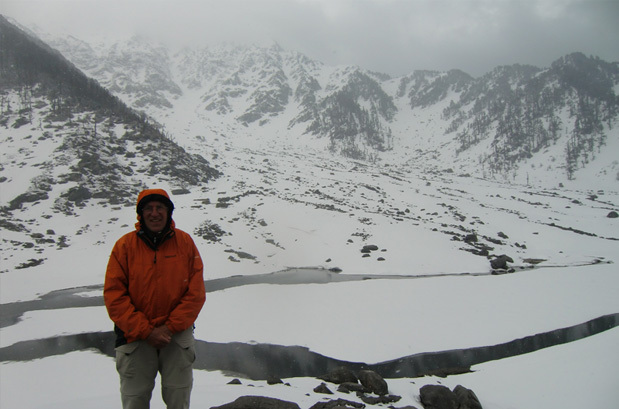 How long we trek during Kareri Lake Trek? In a day, we intend to travel for 5 hours around lunch time, covering a distance of 7-10 km. Trekking shoes with ankle support are a must for any trek in the Himalayas. Quechua, Hi-Tech, Colman are good shoes with value for money. Our trek leaders are certified mountaineers with knowledge of first aid in the wilderness and they carry necessary first aid medicine kit. At each camp they assess your condition and can take appropriate action in case a rescue is required. 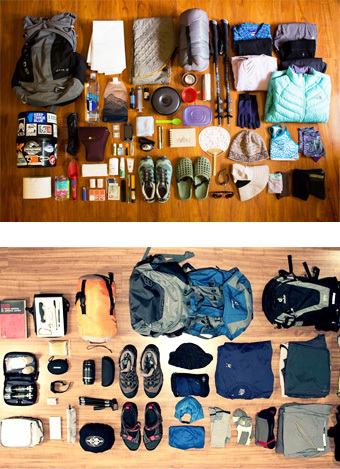 In the case of rescue, all the additional cost will be borne by the trekker.